Decades of being in front of the television camera as a leading actress in daytime, training with leading communication experts and studying human and animal behavior ( personal fascinations) have helped me develop techniques that can transform the way you and your team connect with potential customers. My interactive talks and seminars walk the audience through a series of exercises that bring out the natural confidence and true self-acceptance that lives inside each one of us. Business is built through quality relationships. These can be created in person on camera, from stage or on the phone. No matter which of these avenues your business uses most I can help your team communicate more confidently so they’re comfortable and in control of the conversation. Feel confident instead of self-conscious when representing your brand. Exude positive energy that draws people in. Boost sales with proven presentation techniques. 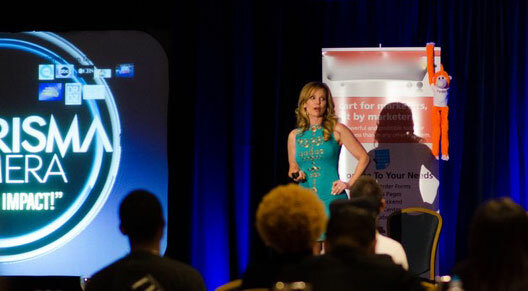 Overcome fear of public speaking in order to promote your business, product or yourself. Share your passion in a way that gets others invested. Build rapport to create strong, lasting relationships. Confidently convey your message on camera for video, TV and webinars. Join other top companies that are empowering their team. Help your team find the words that will work and the powerful personal presence that will get others to take the actions you need them to take. Let’s make your next training event more impactful.